Amazon.com description: Product Description: From one of the greatest minds in contemporary mathematics, Professor E.T. Bell, comes a witty, accessible, and fascinating look at the beautiful craft and enthralling history of mathematics. 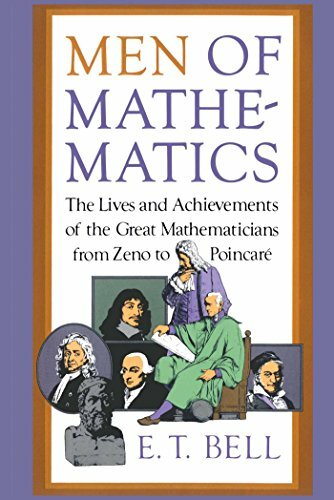 Men of Mathematics provides a rich account of major mathematical milestones, from the geometry of the Greeks through Newtonâs calculus, and on to the laws of probability, symbolic logic, and the fourth dimension. Bell breaks down this majestic history of ideas into a series of engrossing biographies of the great mathematicians who made progress possibleâand who also led intriguing, complicated, and often surprisingly entertaining lives.